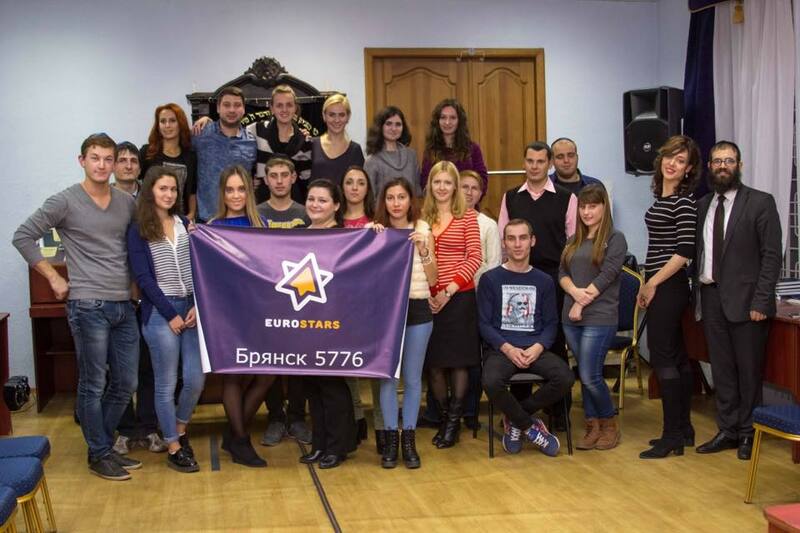 The EuroStars young adults program launched last week in 32 cities throughout Russia. About 1000 young people in the age between 18-28 will participate in the program this year, doubling last year’s numbers and making it the program’s most demanded year yet. The momentum for the youth program is on the rise following its success last year, when 500 participants completed two semesters of invigorating Jewish learning and social activities in their hometowns, and then went on a trip to France, Germany and Poland. This year the trip destination is Spain, followed by a two-day seminar in Poland. “Eurostars is a program developed specifically for the phenomena of Russia and the CIS, where the post-Soviet generations of Jewish youth knew very little, almost next to nothing, about their roots, traditions and cultural heritage,” said Rabbi Mendy Wilansky, the program director at FJC’s headquarters in Moscow. The aim is to reverse the assimilation process, to ignite the ‘Jewish spark’ in the country’s youth and enable each community to nourish its own Jewish leaders, the future of Russian Jewery riding on them. When EuroStars emerged three years ago, it was only in four cities with about 90 participants. However, the enthusiastic peer reviews and the very real excitement felt by everyone involved helped propel the program to a new level and increase the numbers exponentially. EuroStars consists of a year-long learning program, that is complimented by diverse and engaging social content and then culminates in the trip to Europe at the end of the year. The learning program for the last two years has been tailor-made for EuroStars by the Rohr Jewish Learning institute (JLI,) a renowned provider of Jewish learning courses developed to fit every age, level and mentality. This year the FJC even flew the editor of the course to Moscow to meet the representatives from various communities throughout Russia and get a better understanding of each group’s specific situation, Willansky said. “The most amazing part is that people continue coming to learn even after they’ve completed three years in the program and are no longer eligible for the trip. They are really interested in the essence of the program,” he said. “There is huge potential in Russia and we feel like we are just getting started,” said Rabbi Avi Cassel, the director of the international Stars program, the mothership of Russia’s EuroStars. “EuroStars is a very exciting initiative and we’ve seen tremendous growth in participation, not only in the program itself but in all the surrounding community activities. It’s going up and beyond what we expected,” he said. Next year the program, sponsored by a partnership between philanthropist Mr. Eli Horn, the Mirilashvili family foundation and the Federation of Jewish Communities of the CIS (FJC) – is also set to launch in five cities in Ukraine.